Which headlight cleaner is right for your Toyota 4Runner, Tacoma or Tundra? Foggy headlights are unsightly but also incredibly unsafe. And as your headlights become more and more foggy, ever diminishing the amount of light that is able to reach and illuminate the road while you drive at night or in foggy conditions, your risk for an accident substantially increases. But, don't worry! Do-it-yourself solutions are available, so you can get the job done right away without having to pay a professional for expensive service work. So, grab your materials, which are listed below, and let's get started! Use a professional-level cleaner/polish product such as Meguiar's PlastX Clear Plastic Cleaner and Polish to quickly and easily remove scratches and cloudy patches on your headlights as well as to restore them to their original transparent state. It's recommended that you use this or a comparable cleaner/polish product once per year for the greatest level of transparency possible. 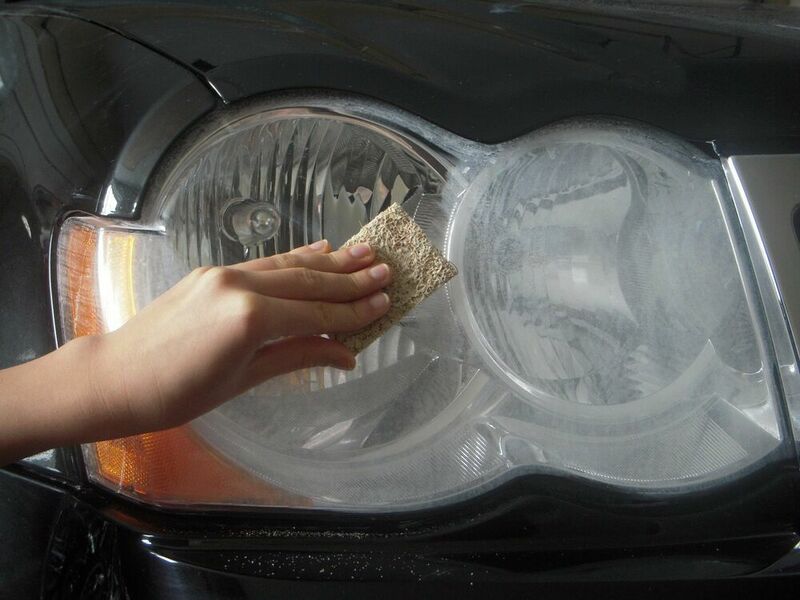 Believe it or not, working toothpaste into your headlight lens using a microfiber cloth works remarkably well, too. Figure 1. Headlight restoration kits are available online. 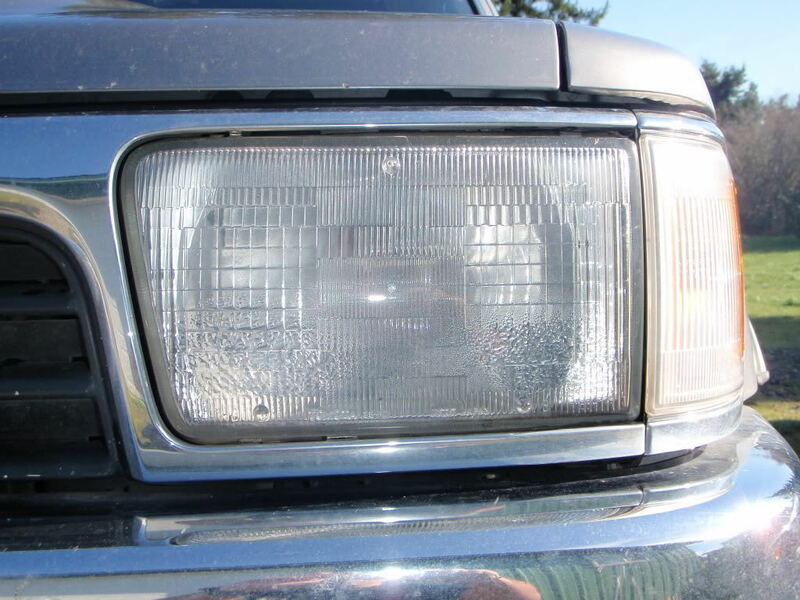 Headlight lens discoloration can occur as soon as two to three years, depending on the amount of ultra violent light your truck is exposed to. For stubborn deposits that just won't lift off the lens, wet sand the entire area using 600-grit sandpaper. As the deposits begin to lift, work your way up to 1,500- and eventually 2,000-grit sandpaper. Apply a liberal amount of water as you wet sand the lens. Polish the lens when you are done, using Turtle Wax Polishing Combound or some other similarly comparable polishing product. Buff the lens with a towel or electronic buffer for added shine. Products like these also help in the reversal of cloudiness. Figure 2. Repeat any needed steps. If excess moisture regularly accumulates inside your headlight lens cover, check the seal between the bulb and the wiring harness. If it is too weak, reseal it. Sealants manufactured specifically for this task are available online for as little as $5. Figure 3. Apply the sealant around the headlight edges if you see water condensation on the inside. If you notice small cracks and chips, you can use a glass repair kit to correct the problem. However, many Toyota truck owners rate these products as just "so so." 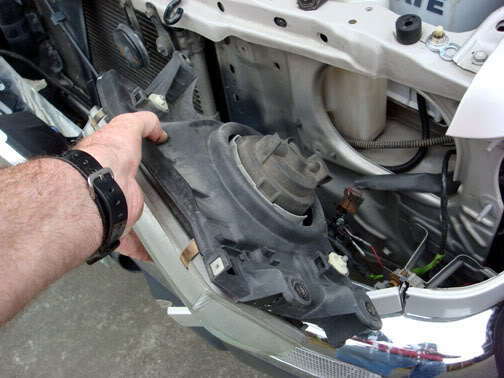 Consider replacing the headlight, if the damage is too severe. Figure 4. 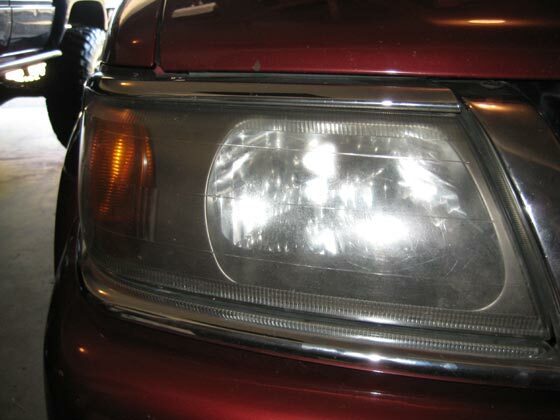 Consider replacing the headlights if damage is extensive.